Kudelski-owned content security specialist Conax has secured the first Latin American deal for its Conax Go Live OTT multiscreen technology from Uruguay-based cable operator Montecable, an exising Conax customer. Montecable launched its OTT offering, Montecable MC Go Live in December. The service offers startover, catch-up and trick-play with full EPG functionality on live TV channels. 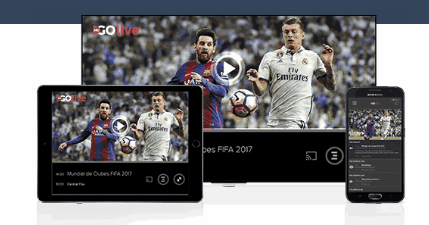 Montecable customers also have access to HBO Go, Fox Play and ESPN Play through MC Go Live. Currently, the service is offered free-of-charge to cable TV customers subscribing to the operator’s HD channel packages. Conax enables the service by pre-integrating partner technology with Conax Contego security to create an overall OTT solution. Conax Go Live includes a content management system, analytics and white-label apps on iOS and Android devices. Conax Contego handles both CAS and multi-DRM management from one back-end. Additional system integration for the project was delivered by regional partner Bold MSS.